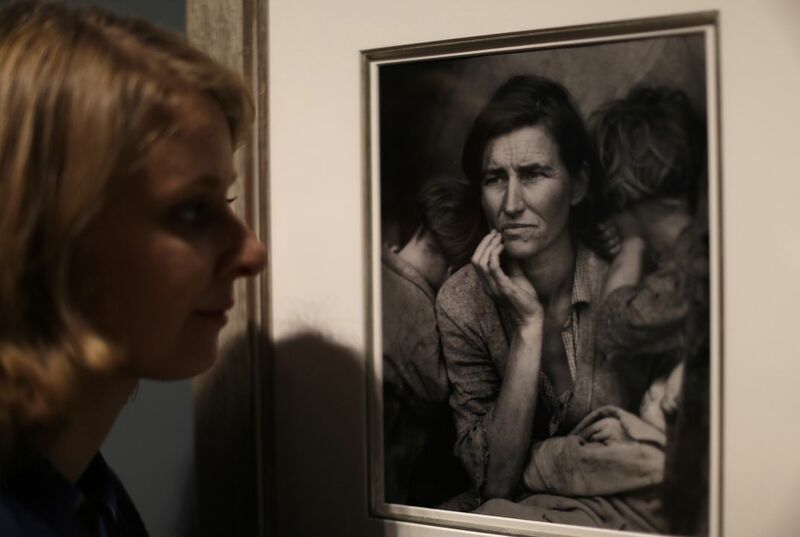 All are included in a multimedia project featuring Time magazine's most influential images of all time, released through a new book, videos and a website. 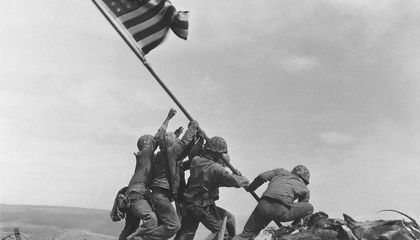 Matthew Brady's Abraham Lincoln, Dorothea Lange's migrant mother, the flag raising at Iwo Jima by the AP's Joe Rosenthal - also a Pulitzer Prize winner - and that famous kiss in Times Square on V-J Day, captured by Alfred Eisenstaedt, are among the 100 chosen. There is a NASA image of Earth from the far side of the moon, a fetus still in the sac, revealing what pre-birth development looks like. There's also the famous, fuzzy Loch Ness Monster, from 1934, and the famous Oscars selfie initiated by Ellen DeGeneres in 2014. Time Magazine's multimedia project featuring the most influential images of all time, was released through a new book, videos and a website. Many of the photos or frames from films are familiar. Some were chosen for their content, others for their innovation. The magazine's editors consulted historians and photo editors and curators from around the world. It is nice and refreshing to see people that actually stand for something and truly are influential to be recognized. Nowadays, people that are considered influential are usually just celebrities that have done no actual good for the world. The people mentioned in the article are the ones who should actually receive recognition. Photographs have so much meaning because like they always say a picture is worth a thousand words. They can come from all sorts of time periods. These photographs are an art to the world. They show different cultures and ways that the past and the future are different. Photographs are a true art full of meaning. Photographs are a true art to the word. Photographs capture moments that are rare. Photographs also show how things were in the past compared to things today. Photographs make history and capture history. Without photographs some people wouldn't know what many events or places look like. Time Magazine has created a multi-media slideshow of pictures with some sort of importance. The first phone taken picture is included in the presentation which is a new born baby. A lot of people will really appreciate this. This story is a summary of the New York Times culmination on the 100 best photos of all time. The story explains the process that the New York Times used to chose photos, selecting some that are iconic worldwide, and some that symbolize innovation. These photos all have one thing in common, they tell a story and portray emotion. This story was well written and was based on facts, it used good emotional appeals to excite the audience about photography. This relates to civil engagement, because as a citizen, I believe every individual should view the 100 most influential photos of all time. These photos are mostly from huge national events such as World Wars, hardships, tragedies, controversies, and inventions. Since it is a citizens job to be well informed on national events, these photos correlate with that and convey the emotions that words on a screen cannot convey about such events. Photographs have such a vast meaning because it captures every little detail that can be kept forever. Photographs are a quick snapshot where time stops. Photographs have a greater meaning rather than what is being portrayed. This is what makes photographs have such meaning.